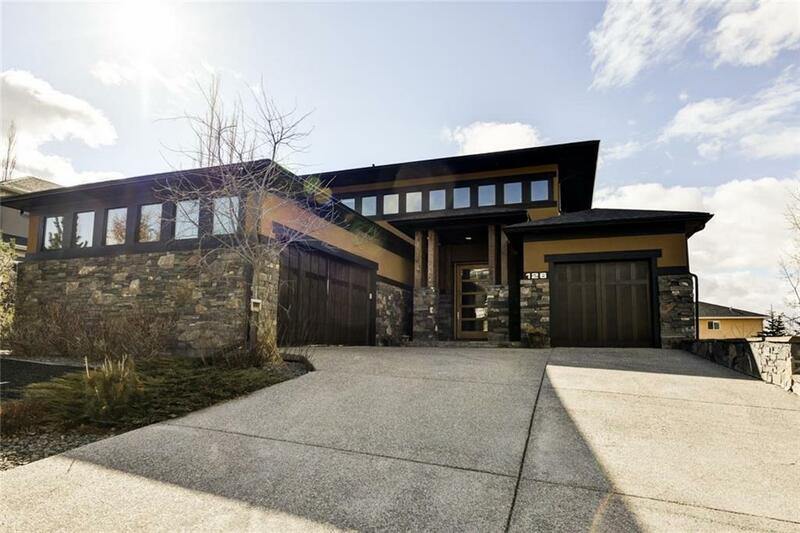 Stunning prairie style custom home siding onto a park with mountain views. 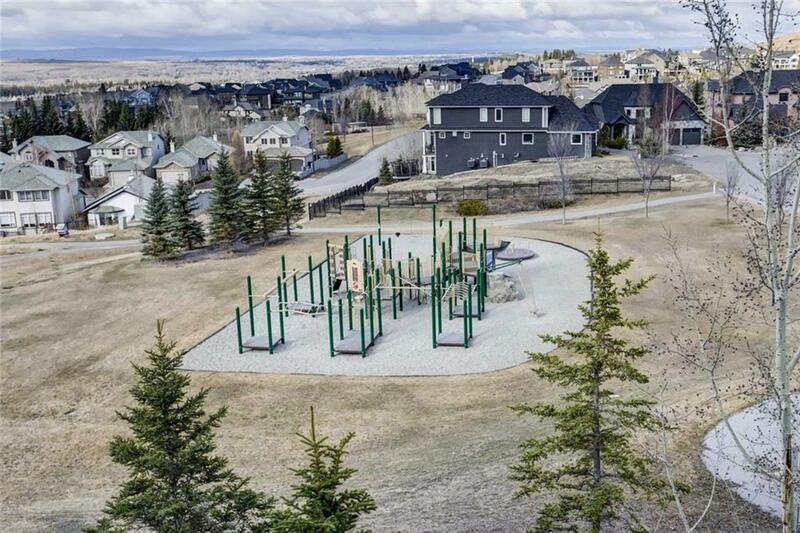 This home is loaded with features & upgrades including natural rundle rock inside and outside the home, vaulted ceilings with wood inlays, heated granite floors on the main floor & in the basemen & marble floors in all bathrooms. Massive kitchen (with 12 ft ceiling) features island seating, custom backsplash & granite countertops. Living room with 26 ft tall vaulted ceilings, stone surround fireplace & patio doors looking out at the park & view. Main floor master bedroom features a large walk-in closet with laundry & ensuite with a huge steam shower. Upper level has a bonus room with full bathroom adjacent, great for a home office. 3 more bedrooms up all with ensuites, a den area & laundry room. 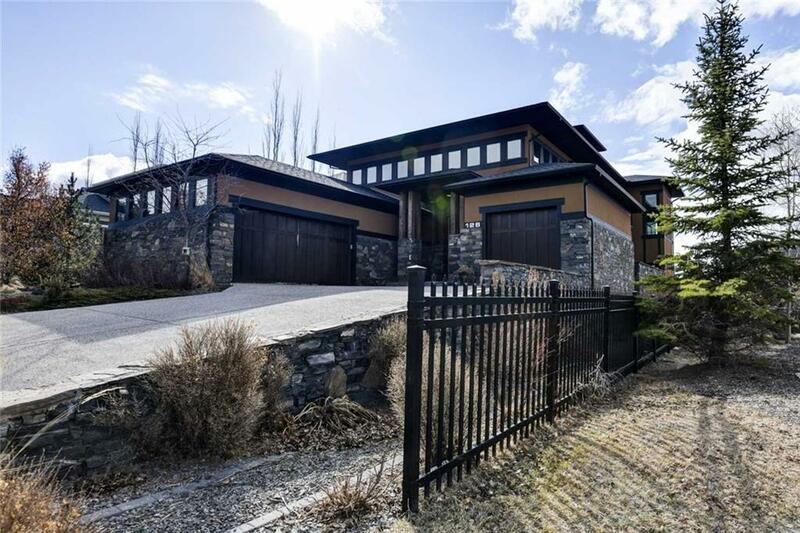 Fully finished basement with bedroom, full bathroom, gym area, family room, games room, bar, wine room & movie theatre room. Oversized double garage & single garage. 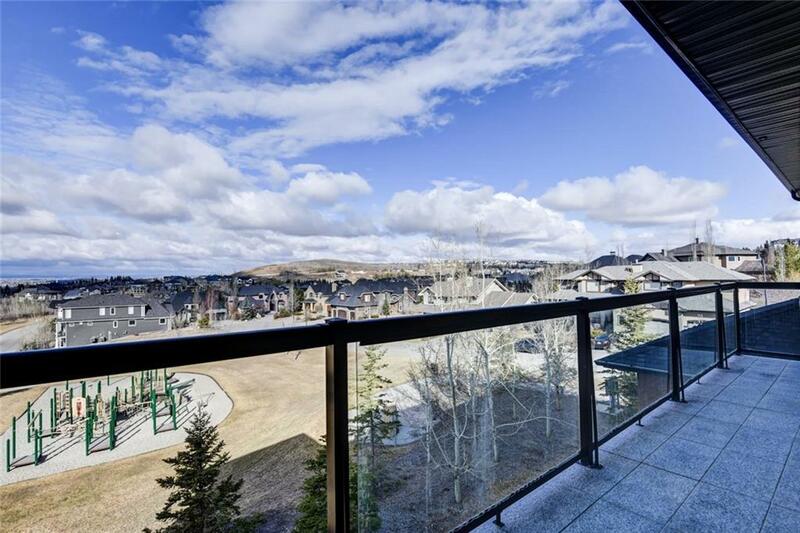 Excellent location on a quiet street with beautiful views.